PDFelement 6 Professional is really a great PDF editing tool, which will not cost you a fortune. PDFelement 6 Pro is priced at $59.95 per year, which is quite reasonable and the price is really justified for the features it offers. If you are planning to purchase a new PDF suite or is looking for an alternative for your existing PDF suite, PDFelement 6 Professional is not going to disappoint you for sure. The only thing I dislike about the pricing is the subscription method. I wish there was an option for a one-time purchase. Working on the internet, we all come across PDF files once in a while, and thus, our smartphone, PCs, tablets and other devices have a decent PDF reader as per our requirements and likeness. But sometimes, we also need to create or modify PDF files, and our free PDF readers are, in most cases do not have the capabilities to do that. 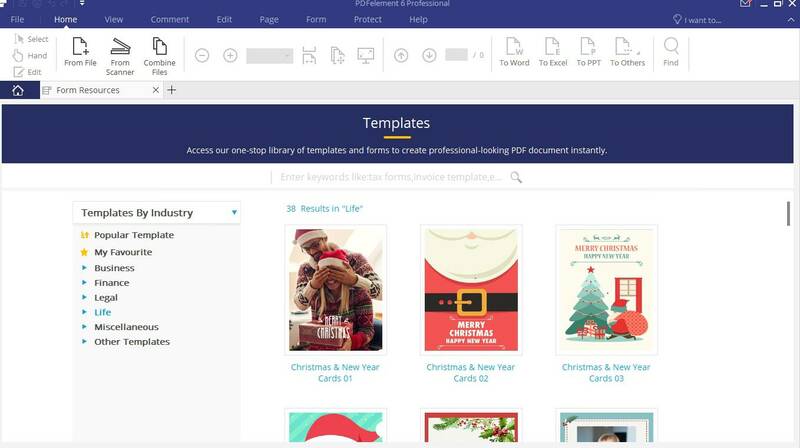 That is when we need to pay for the premium suites that come with additional abilities like OCR support, support to convert PDF into other formats, merge PDF files and many others you can think of. Till a few years ago, Adobe PDF used to be the leader in the world premium PDF programs. 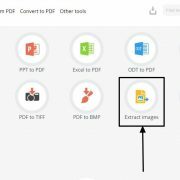 But in 2018 there are a plethora of free and premium PDF tools, and recently I got my hands on the latest Wondershare PDFelement 6 Professional. I am using it for almost a month now and is pretty happy using it. 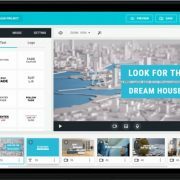 So just like any other apps, I am here with a brief review of the Wondershare PDFelement 6 Professional. I am here with the pros and cons, the things I liked about it, and other facts worth knowing about the PDFelement 6 Professional. So I will get started with the basic things like the features, the installation method, and that will be followed by the pros, cons, and my final verdict about the mighty piece of software. Installation of Wondershare PDFelement 6 Professional is not cumbersome. It is similar to the installation process of most other common Windows programs. Just hit the ‘Next’ multiple times, accept the terms, and you are done installing. If you have already purchased PDFelement 6 Professional, you can enter the key along with your email ID in the welcome screen of the program. Here is the Link to official website for the trial version. So let’s first find out the features. 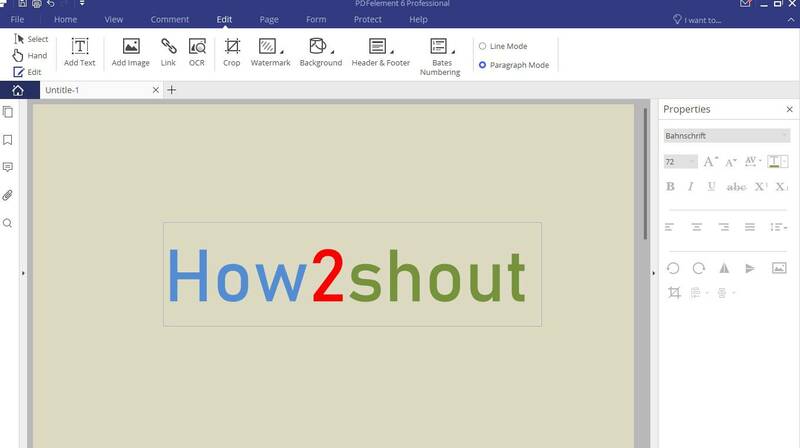 The user interface has some similarities with everybody’s favorite Microsoft Office Word, making it easy for a huge class of users out there. 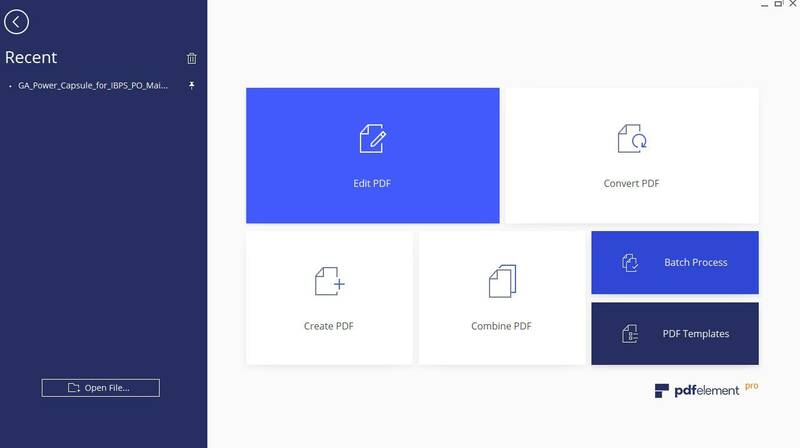 PDFelement 6 Professional has the support to convert PDF files to different files formats like .docx, .xlsx, .pptx, and other popular formats like text, image, EPUB, HTML, RWP, etc. The software has scanner support to directly capture scanned documents directly from the scanner to PDF format. PDFelement 6 Professional installs a system printer to print documents directly to PDF, making it an easy conversion resort to converting documents to PDF. It has the ability to modify PDF documents in a plethora of different ways like adding header and footer, changing the background, adding watermark, adding text and images, and a number of nifty other options. The same set of options is also available while creating PDF documents or files. 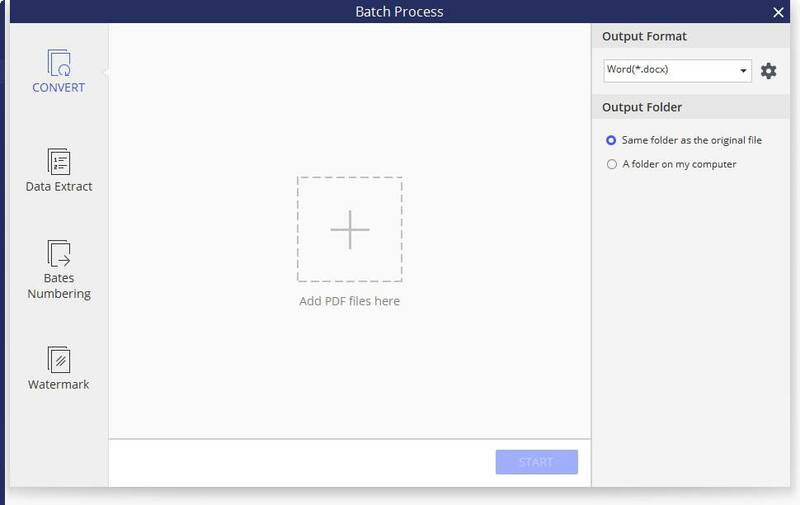 PDFelement 6 Professional has support for batch conversion of multiple PDF files at once, which include data extraction, conversion of PDF documents, adding watermarks, adding numbering and many others. The software comes with a huge catalog of templates to choose from. Just choose the best one from the list to get started with your final project. So that was all about the features. Now let’s proceed with the pros and the cons. Let’s now talk about the points that I liked about the Wondershare PDFelement 6 Professional. Starting with the basics, PDFelement 6 Professional is pretty lightweight and fast, making it the best choice for a variety of users out there. PDFelement 6 Professional ideally consume around 130 MB of RAM and takes around 1.3 GB of hard drive space, which is quite natural for a program offering such a huge set of features. The user interface, which I already talked about in the features, is quite user-friendly, and thus, you will not face any kind of issues with the program even if you are a novice user, or is using the software for the very first time. Talking about the PDF viewing functionalities, just like the other PDF readers of today, PDFelement 6 Professional will remember the section where you left your reading, and you can seamlessly resume from thereon, next time you open the same document on PDFelement 6 Professional. OCR or Optical Character Recognition is an important aspect of most PDF editors nowadays, and PDFelement 6 Professional features an easy OCR functionality. Not only that, the OCR functions work quite well, and the output generated is quite accurate. Thus, thumbs up to the OCR functionality of PDFelement 6 Professional. Nowadays most people love working on the cloud. That being said, PDFelement 6 Professional has options for collaborative tasks to allow multiple users to work on a single document from different geographical locations. PDFelement 6 Professional has support for creating forms, which is yet something that most institutions and businesses will surely find in handy for different tasks. While creating PDF files, PDFelement 6 Professional offers a number of cool authentication features to keep your document secure. Watermark functionality is definitely there. But other functionalities include the ability to password protect PDF files, sign PDF files. It eventually delivers robust security for your PDF files. PDFelement 6 Professional has support for a number of smart features like form recognition, extraction of data from forms, which are really handy for a number of users out there. Though that require some improvements, still it can be handy. PDFelement 6 Professional can optimize a document for numerous requirements and operations, to send it through email, for the purpose of printing, for office use and do a custom setting as per your requirements. That is something quite great if you want to get the most out of your document. All the expert features of the program are quite easy to access and execute, and you do not have to go through all the available options to find the one that you need. Just write the option that you need on the top right corner saying ‘I want to…’ to get started with the option that you need. So that was all about the pros. Yes, I know it is impressive, and offer all the functionalities you might need while working with PDF documents in 2018. Just like the moon has scars, PDFelement 6 Professional is also not an exception. So let’s find out the cons of PDFelement 6 Professional. PDFelement 6 Professional is great. But sometimes the program freezes while processing and capturing text from big documents. I understand such tasks are resource heavy and put a considerable load on the CPU, but I wish the management was a little better to prevent any freezing issues. The user interface of PDFelement 6 Professional is quite user-friendly, and I won’t complain. But the program has issues with the toolbar and sometimes cause user interface issues when the window is maximized. 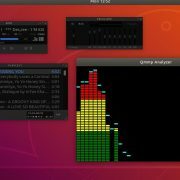 The window is different from normal Windows programs with the default framework, which is likely the reason behind causing the issue. The OCR plugin doesn’t get installed at the time of installing PDFelement 6 Professional. This again consumes a lot of data, and if you on a limited data plan, it can be a little troublesome for you. I wish the OCR plugin got installed at the time of installing the program. I didn’t find any more cons. I just wish the bugs that cause the program to crash, gets fixed soon. That is only a major con that I noticed and need to be addressed as early as possible. Now it is the time for my final verdict about the software. PDFelement 6 Professional is really a great PDF editing tool, which will not cost you a fortune. PDFelement 6 Professional is priced at $59.95 per year, which is quite reasonable and the price is really justified for the features it offers. If you are planning to purchase a new PDF suite or is looking for an alternative for your existing PDF suite, PDFelement 6 Professional is not going to disappoint you for sure. The only thing I dislike about the pricing is the subscription method. I wish there was an option for a one-time purchase. Though such a pricing method is not available for the leading PDF suites as the subscription method is a better business strategy. But being a customer, I can always hope something better. So to wrap up things, I will surely recommend PDFelement 6 Professional if you are looking for a decent PDF suite at a reasonable price. If you are interested in buying PDFelement 6 Pro then, right now it is a time, as it available at 40% discount becuase of the festival season. Get the PDFement 6Pro at discount. Hope the Wondershare PDFelement 6 Professional review was helpful for you. Do you have any questions, or have any opinions to give? Feel free to comment it down below.